Emma Josephine Anderson was born near Ventura, IA, daughter of Lars and Lena (Pedersdatter Benerud) Anderson. She was baptized in 1892 at the Ellington Prairie Lutheran Church, and was confirmed there in 1906. She received her elementary education at the Concord #1 School. 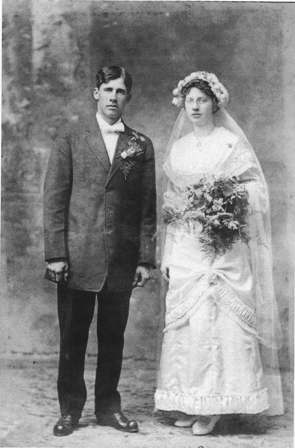 She married Menton Amos Larson (1988-1927) and they farmed in the Ventura area. Both of them died as a result of accidents. Emma and Menton Larson had one daughter: Norma, Mrs. Lester Nelson (1915- ).